Last year I was quoted on Twitter saying “If you hated the word social, get ready to hate the word ‘cognitive’.” Boy is that word thrown out a lot by IBM these days. Not least the opening general session at Connect 2017 here at Moscone West in San Francisco. This year the OGS was split in two. A wise decision, since they used to be too long at previous conferences. The session started with a DJ/singer who mixed music, both on her own and with Watson. 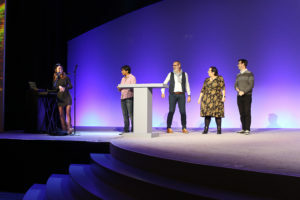 She then invited the three lifetime IBM Champions up on stage, Gabriella Davis, Theo Heselmans and Julian Robichaux. After sampling their voices she had a bit of fun and mixed them into the music. 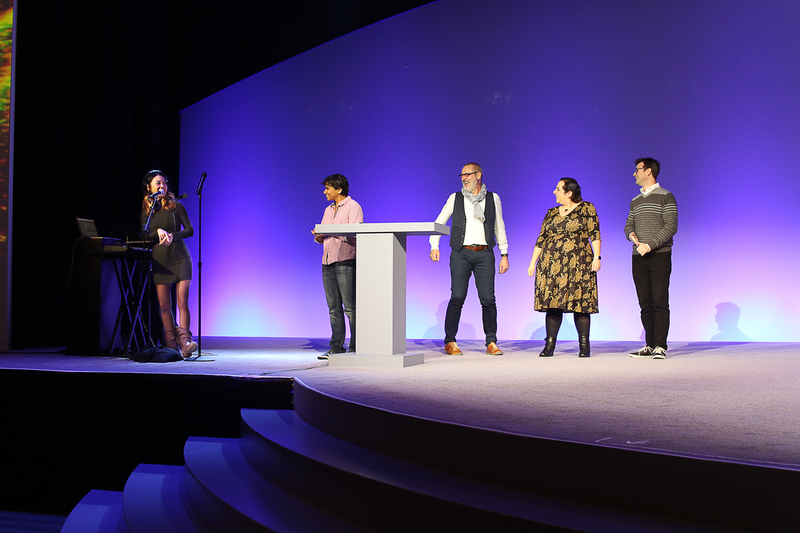 Inhi Cho, general manager of IBM Collaboration Solutions, then took the stage and talked about Watson and Cognitive, as well as about our community, which she joined last year. She is a really impressive presenter and it’s obvious that she is really knowledgeable about big data and cognitive. 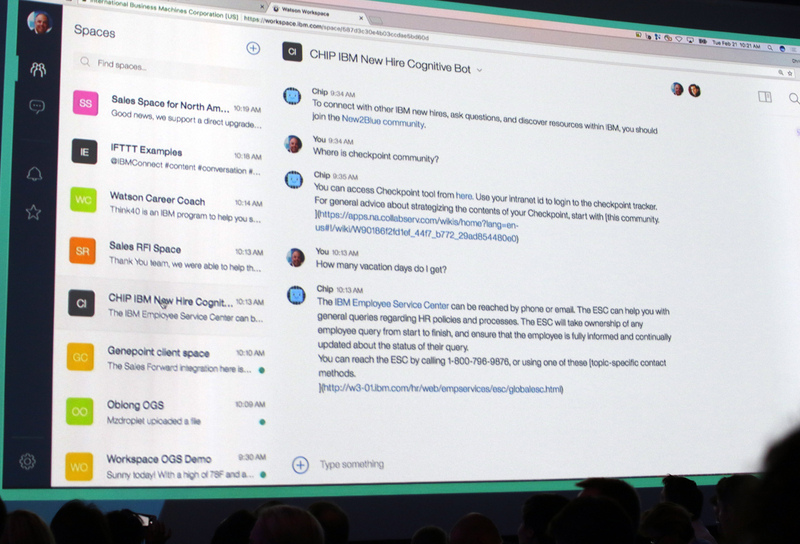 We were given a few demos of what’s coming with IBM Watson Workspace, as well as the way they are embedding Watson, Watson Workspace and cognitive into the ICS Portfolio. Think of the possibilities here. New employees can get the information they need just by asking. We even got a demo where the presenters spoke into their microphone, and told the system to reschedule their meeting and inform the other participants about it. They also asked questions for help about certain topics, which was answered by the bot. The bot also replied, by audio! 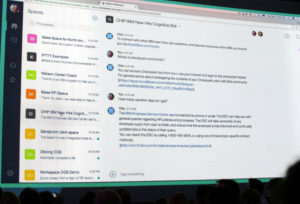 Watson Workspace functions a lot like Slack. But as a lot of us know, the conversation becomes very cluttered, very fast. With the help of Watson and cognitive, you can simply ask for the highlights from the conversation. Watson knows what the highlights for you will be, based on your work habits, your interests and the general tone of the conversation. Stay tuned for my summary of OGS Part 2.